It’s 2016, and the start of a brand new Retrochallenge. Due to some big changes happening at work (I’ll post about that later), I haven’t had much time to prepare for the challenge this time around. I came up with a plan to combine some retro computing with some ham radio, knowing that I had all of the bits and pieces around, and I didn’t think it would be too big of a time commitment. So, naturally, I procrastinated until January 1st before actually trying to gather all of the pieces I’ll need. Just a quick trip to the garage to get my VAX pieces… oh dear. 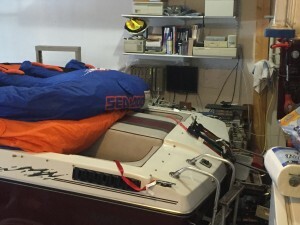 I forgot that I have my brother-in-law’s boat in storage in our garage for the winter. A 5-minute job turned into a major project to get the boat out of the way and try to dig out the pieces I’ll need. Initially, I wanted to try to get a MOP boot and remote operating system install happen over a RF bridge. One very major problem has popped up. A key component to remote booting is my Infoserver 100. This is basically a net-mounted CD-ROM drive that allows a machine on the same network to boot off of a CD-ROM. The CD-ROM drive in this machine uses a very unique CD caddy that is different from the more common caddy of the era. 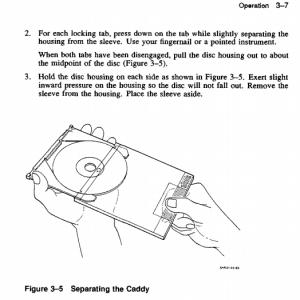 Even after removing the boat, I was unable to locate my one and only caddy for this machine, so I’m not able to use the Infoserver, unless the caddy shows up before the end of the month. I’m not going to let this small problem derail my challenge. So the network boot component might be out, but I’m still going to get a machine on HECnet via a ham radio digital link. The first step is to take my target machine CANADA:: and get it connected via a ‘normal’ ethernet link. 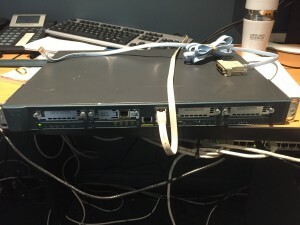 There are several ways to connect to HECnet, and my chosen method is to use a Cisco router. 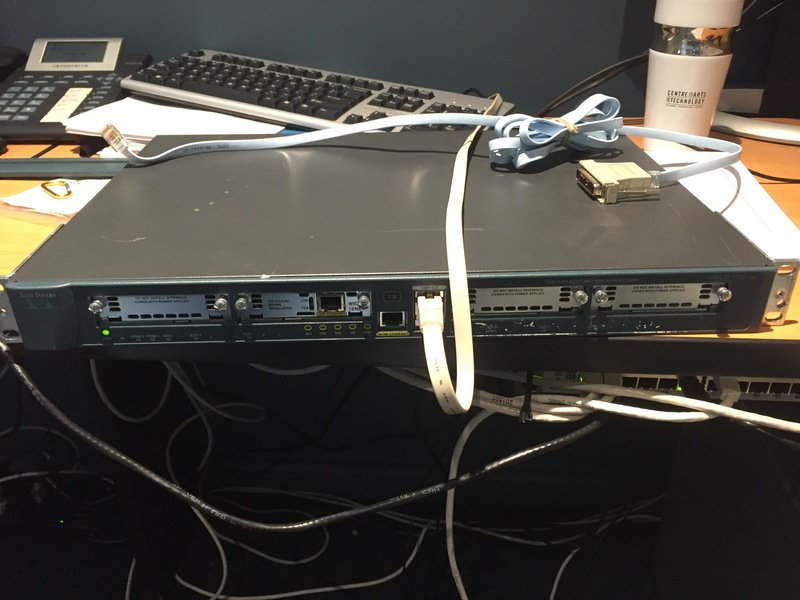 Some rummaging around at work and I’m able to locate a few older Cisco routers of various specifications. The next task is to find the correct hardware/firmware combination that will support DECnet routing.